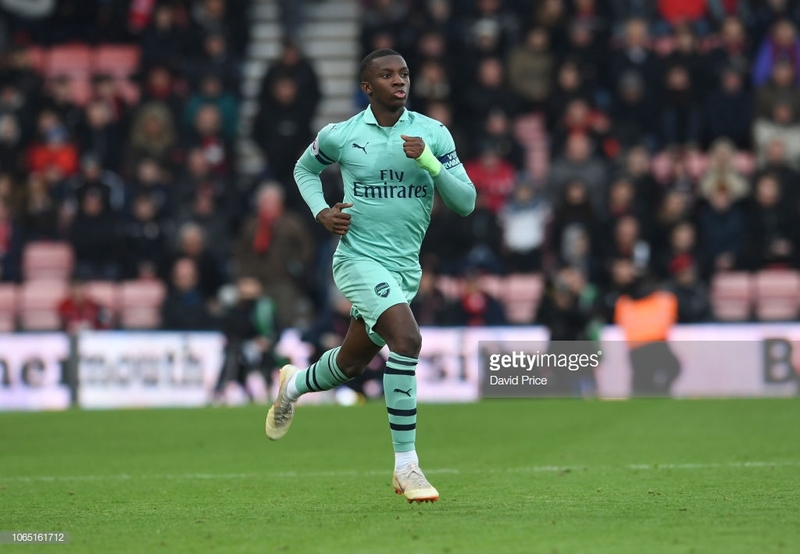 Opinion: Does Eddie Nketiah deserve more game time at Arsenal? Eddie Nketiah's golden ticket at Arsenal will be in the Europa League. Eddie Nketiah burst on the Arsenal scene last season against Norwich City. He was a used substitute in the Carabao Cup game, coming on and scoring with his first touch. He also scored in extra time to secure the win for Arsenal while rounding off a perfect debut. Arsenal reached the final of the competition but they would have got nowhere near that stage if it wasn't for Nketiah. However, since then, his impact hasn't been as prominent as it should have been. Under Arsene Wenger, he didn't get many more chances but of course, he has more of a chance under new head coach Unai Emery. The Spaniard has started using Nketiah more in recent weeks. The Europa League mustn't be overlooked. It may be second-fiddle to the Champions League but it's still a prestigious European competition. The top-end Premier League clubs tend to use this as a platform for their younger players. Take Manchester United for example, without the Europa League, Marcus Rashford wouldn't be the star he is renowned for being today. Even Arsenal have experienced this trend with their very own Ainsley Maitland-Niles. Emery has used Nketiah in the Europa League already this season. He played the full 90 minutes against Vorskla in the group stage, just after playing a short cameo towards the end of Arsenal's match with Bournemouth. He impressed in this match. He didn't get on the scoresheet but there were plenty of positives to take from his performance. It was easy to spot his runs in behind the Vorskla defence, something which could be capitalised on given time. Arsenal come up against Qarabag on Thursday. Emery will probably opt for a weakened lineup given Arsenal's solidified top-spot position. That said, expect Nketiah to feature. Arsenal have an abundance of attacking stars. For the first time in a while, the general consensus over the frontline is a positive one. Wenger left the Gunners with some fine attacking options. In Nketiah's position, he has Pierre-Emerick Aubameyang and Alexandre Lacazette to learn from. These are two of the best in the business so Nketiah should be paying close attention to them in training. Having these stars available to Emery is inevitably going to hinder the amount of game time Nketiah gets in an Arsenal shirt. However, it's a good thing that he works alongside them. He mustn't get too caught up in being third-fiddle and instead, look at ways he can boost his chances of getting in the starting XI. In the knockout stages of the Europa League, Arsenal would usually opt for playing Danny Welbeck as the striker. However, the Englishman suffered a long-term injury which will see him ruled out for quite a while. Nketiah will see this as a chance to make his mark on the knockout stages of the Europa League. If Arsenal get an easy fixture, which is likely given their league position then there's no reason why Nketiah shouldn't start. He'll just need to make the most of his chances when they come and focus on getting on the scoresheet more. That's the only way he can guarantee himself more game time and ensure that Emery doesn't look externally for a Welbeck replacement.